Maybe you’re lacking the demanding environment you desire from your present field, or, on the flip side, believe your line of work is too demanding for a person like yourself. You may be bored with your present job, or you may want to chase your dream years after you had originally given up on it. Whatever the reason may be, it is still possible to enter the nursing industry even if you didn’t graduate with a nursing degree. If you’re thinking of becoming a nurse as a second career, or are shifting from another industry to nursing, you would have to have an Accelerated Bachelor of Science in Nursing degree (Accelerated BSN) or Second Degree in Nursing. This would put you on the fast track to getting a nursing license and moving on from your non-nursing career. The American Association of Colleges of Nursing (AACN) says in a prospectus of sorts for would-be Accelerated BSN students that a second degree student should ideally be highly motivated. Cliché as the term “highly motivated learner” may sound, this statement rings true, as educators and medical facility officials alike desire nurses who are quick to absorb clinical knowledge and have an uncommon level of maturity not found in most other students. By this we would usually mean incorporating what you learned in your previous college course or your previous profession and allowing that learning and experience to complement what you will be learning as a nursing student. 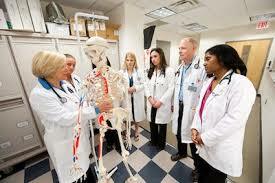 The rule of thumb is that you have to study full-time if you’re planning to take an Accelerated nursing program. That’s because Accelerated BSN courses are no picnic – these make for very intense learning experiences that are the epitome of “information overload.” Classes move at a breakneck pace, and force you to absorb more information in that compressed timeframe in clinical and classroom settings alike. Nobody said this was going to be easy, but if you want to branch out into the field of nursing, it’s a sacrifice that would totally be worth it. Most Accelerated BSN programs can be completed in less than two years, and that’s how quickly time passes in such a BSN program; conventional BSN programs take about four years to finish. And it also would be of great help if you already have a degree and had taken a number of general studies and elective courses that are included in a standard BSN curriculum; of course, you would not have to take them again. With the nursing industry in dire need of more qualified individuals, many adults are taking that sacrifice and enrolling in Accelerated BSN or Second Degree BSN programs; don’t hesitate if you want to build on your previous academic experience and give the nursing industry a much-needed helping hand.